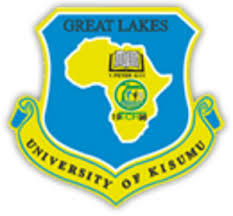 Great Lakes University of Kisumu is a chartered University with its main campus located in , Kibos, off Miwani Road, Kisumu County. It has other campuses at Milimani, Kisumu City, and in Nairobi Centro House, Westlands. GLUK offers a wide range of academic programmes and is highly regarded for its unique methods of programme delivery and research both linked to problem solving and community service.